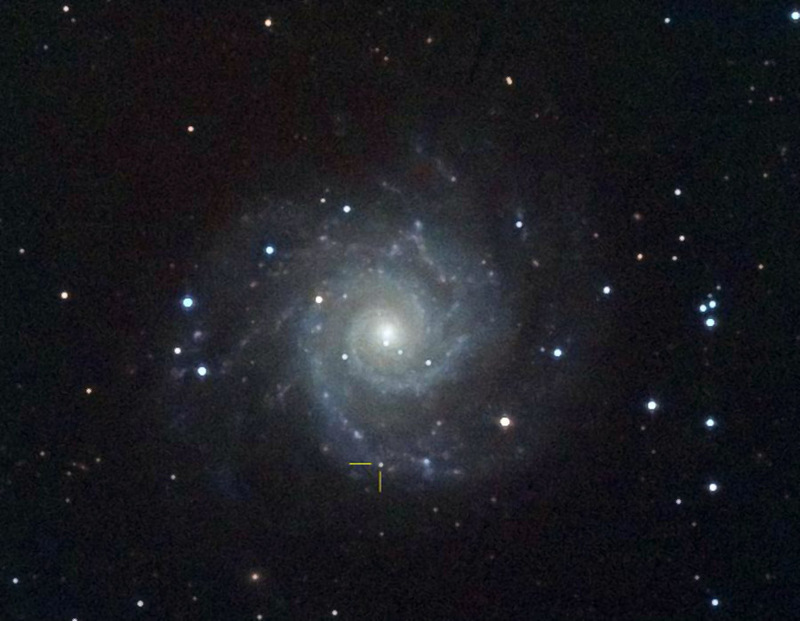 Messier 74 (also known as NGC 628) is a face-on spiral galaxy in the constellation Pisces at a distance of about 32 million light-years. Position of supernova SN2003gd is shown in yellow. For more information about supernova discovery click here.